There are many forms of Kame-iwa (亀岩 ) turtle rock- or Kame-ishi turtle stones in Japan, such as the Kame-ishi of Shikoku, Kameiwa-jinja, the Ohno Turtle Rock in Sado Island, but the best known one is the Turtle Rock located in the historic Asuka Village, Nara. 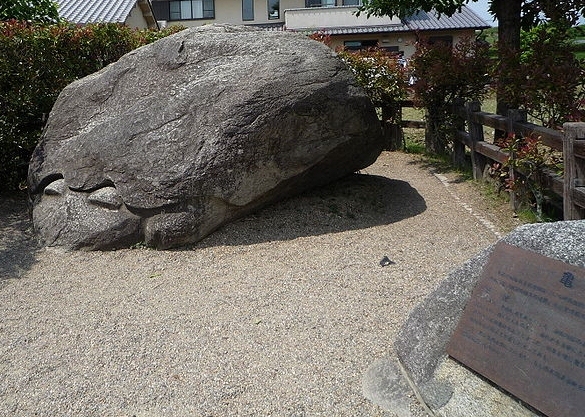 This particular mega-sized megalith made of granite was carved into the shape of a tortoise which “currently faces south, but legend has it that it originally faced east and should it ever turn to face the west, the whole of Japan will be reduced to a sea of mud”(according to Asuka Park-Village authorities). The Turtle Rock pictured above in Asuka Village (together with other megaliths of Asuka village and the Ishibutai dolmen tomb), has allegedly been deciphered as an ancient Star Chart that maps the constellation of Cassiopeia known as Five Emperors by the Chinese astrological-astronomical system (source: Andis Kaulins’ “Stars, Stones and Scholars: The Decipherment of the Megaliths“p. 355). o-kame ishi Turtle Rock: tread it not, strike it not. According to the sendatsu, O-kame-ishi continues below ground all the way to Kumano. The terms yogd-ishi 影 向 石 （“rock where the god appeared”）or gohd-ishi 護 法 石（“rock of the protector spirit”）are no longer associated with it, but they must have been in the past—perhaps the deity who appeared there was Kumano Gongen. At first glance, the rock reminds one of the legendary island of Horai, which is supported on the back of a turtle, or of the fabled longevity of the tortoise. However, in this case these associations are implausible. There is also a Kameiwa sacred rock on Mt. Fuji which is said to look like a turtle crawling on the ground, and which is situated on the left side of the way to the summit from the lodge. The Kame-iwa rock is believed to enshrine Hachidai Ryuo who is a water deity, probably an archaic native deity from pre-Buddhist times, but later assimilated into Buddhist pantheon. The Kameiwa rock has been traditionally maintained by the people of Fujiko faith of Mt.Fuji, and its deity specifically worshiped at the large household-altar of Horai-Kan (Horai Inn). Horai-Kan is situated at the 8th station of Mt.Fuji, 3,150m above sea level. Where does the practice of turtle rock veneration originate from and what is the meaning behind turtle (tortoise) symbolism? Art representations of turtles in Ancient Egypt were common and amulets and magical charms to secure health and life and the warding off of evil were some of the earliest representations of the Nile turtle dating back to pre-dynastic times. Although Turtle deities (such as Ptah’s Shetw (Tortoise, Turtle) do not appear to have been much revered, there were also ceremonial ritual acitivity involving great quantities of turtle and tortoise bones associated with archaeology at the great ceremonial complex at Heirakonpolis in Upper Egypt. In mythology, the turtle was associated with Set and the Underworld(source), and with the enemies of Ra who tried to stop the solar barque as it traveled through the underworld. Since the XIXth Dynasty, and particularly in the Late and Greco-Roman periods, turtles were known to have been ritually speared by kings and nobles as evil creatures. See also a turtle-headed messenger of Osiris from a Theban royal tomb in the Valley of Kings, 1325 BC here. “The cremation tower is a high structure solidly built of wood and bamboo, bound together with rattan and covered with coloured paper ornaments and cotton-wool dyed in bright colours, and glittering with tinsel and small mirrors. Another early attribution was made in 1838 by L. Vernon Harcourt (in his “The doctrine of the Deluge: vindicating the scriptural account from the doubts which have recently been cast upon it by geological speculations” (1838 London: Longmans. pp. 250) to the tortoise Chukwa supporting Mount Meru. Chukwa is often conflated in Hindu versions with Maha-padma (or Maha-pudma) the world-elephant mentioned in the Ramayana. “First there was only water, then the Great Turtle gradually rose above water level and the Creator placed mud on his shell. The mud dried and a Great Tree grew in the middle of the earth. As the Tree grew towards the sky, a sprout became a man then Great Tree bent down and in touching the earth, caused a sprout to become a woman. From this man and woman, all of humanity descended”. The Huron however have a snapping turtle tale where various animals are sent diving to find earth. Unfortunately all of the animals drown except for toad who makes it back with earth in its mouth, which is then set on the back of the turtle and which then grows into land. Long before the world was created there was an island, floating in the sky, upon which the Sky People lived. They lived quietly and happily. No one ever died or was born or experienced sadness. However one day one of the Sky Women realized she was going to give birth to twins. She told her husband, who flew into a rage. In the center of the island there was a tree which gave light to the entire island since the sun hadn’t been created yet. He tore up this tree, creating a huge hole in the middle of the island. Curiously, the woman peered into the hole. Far below she could see the waters that covered the earth. At that moment her husband pushed her. She fell through the hole, tumbling towards the waters below.Water animals already existed on the earth, so far below the floating island two birds saw the Sky Woman fall. Just before she reached the waters they caught her on their backs and brought her to the other animals. Determined to help the woman they dove into the water to get mud from the bottom of the seas. One after another the animals tried and failed. Finally, Little Toad tried and when he reappeared his mouth was full of mud. The animals took it and spread it on the back of Big Turtle. The mud began to grow and grow and grow until it became the size of North America. One variant version is where the Turtle instead of diving down for earth , is a Creator of land by pushing up the earth from the ocean bed (you could say this is a case of splitting hairs or semantics)… and we find this version among the Austronesian-speaking Orokolo of Kerema in southern New Guinea (see Orokolo genesis: an account of the origin of the world and of the people of Niugini as told in Hiri Motu). India and its legacy of Vedic or Hindu myths have diverse versions of the world turtle known as Kurma or Kurmaraja, as well as turtle iconographic ideas and symbolism. The Shatapatha Brahmana identifies the earth as its lower shell, the atmosphere as its body and the vault of heaven as its upper shell. 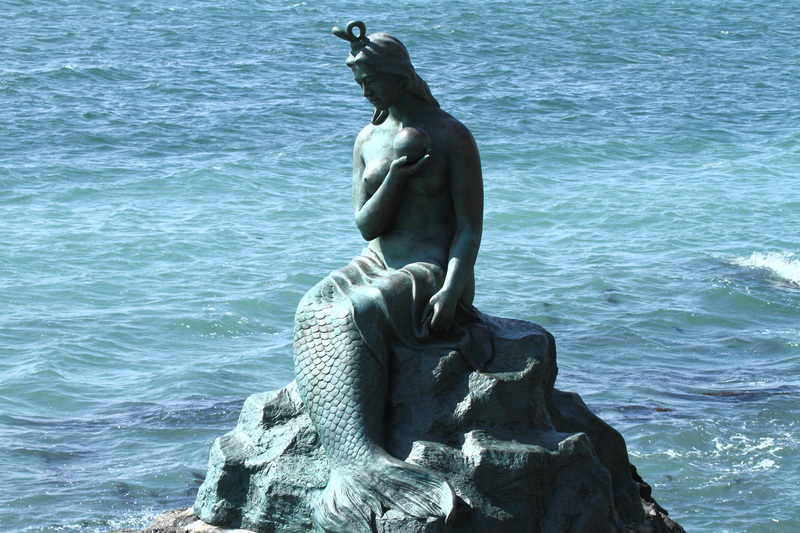 A particularly important version is the Legend of the Churning of the Ocean Milk (a.k.a. Samudra manthan myth), is the account where the gods have lost the kingdom of heaven and their immortality and to regain the elixir, they must churn the Ocean, and in which the serpent Vasuki is used as the churning rope, Mount Mandara as the churning staff, and Vishnu taking the form of the turtle Kurma, bore the mountain on his back as they churned the waters from which the elixir of immortality among other things, finally emerge. Japan also has a Churning of the Ocean myth as well but in which the turtle does not feature at all, which could be suggestive of either the easterly limits of the distribution of the turtle cosmology and that since the Japanese Izanagi and Izanami myth cycle that is a type of Ocean Churning myth, pre-dates the version that is seen on the Cambodian Angkor Wat temple reliefs, it may represent the more archaic version before the consolidation of themes, or else … the Turtle actor was transformed en route with the transmission of Buddhism to the edges of East Asia. The story of the Historical Buddha’s birth as a tortoise (in his past lives, before becoming the Buddha) is featured in Indian reliefs of the first gallery balustrade, where a total of five panels present the culminating scenes from a story called the Kaccapavadana. According to Hindu scriptures, the great sage Kasyapa (Sanskrit for tortoise) is the father of Aditya, the Sun. The legacy of the Indo-European or Indo-Iranian solar kings, Kasyapa as a Buddhist motif absorbs the solar symbolism of the Surya-sun princes, and is appropriated as an iconic representation of the past life of the Sakyamuni, who was sometimes called the “Kinsman of the Sun” (Adityabandu). “A version of the churning of the Sea of Milk from India is shown in Figure 15.9. Here, the demons appear animal-headed, on the right, holding the heads of Vasuki. Sun, Moon, and Lotus appear below the turtle with a number of other figures, many known in other contexts as asterisms. That may be what is intended here. Turning now to cosmic turtles in other contexts, Figure 15.10a shows the Indian turtle as world supporter, with the cobra wrapped around its neck. The layers of heaven and earth are clearly shown with supporting elephants all surmounted by a pyramid. “These [zodiac] ideas eventually penetrated India and ultimately China, Japan , and other Asian areas. However, in those areas, they never entirely replaced the elaborate complex of ideas surrounding the turtle as cosmic supporter of the universe, accompanying a more arithmetical concept of astronomy. These ideas were found in Tibet, China, Korea, Japan, India and the derivative southeast Asian cultures, New Guinea, Polynesia, Mesoamerica, and most of northern North America. The distribution is essentially continuous. Whether South America is part of this complex is not determinable on evidence known to us. The oldest archaeological evidence for such beliefs is from China, and tradition there associates the appearance of a cosmic turtle with a story of a great flood. The concept of the cosmic turtle with a story of a great flood. The concept of the cosmic turtle was treated by Schuster and Carpenter (1988, III, pp. 63 (f), who established much of the distribution and discussed many associated traits. There is, however, no systematic discussion of which traits co-occur in different areas nor of possible meanings of the associated tales and concepts. They mention no astronomical references to the turtle except for the axis mundi insofar as that can be considered astronomical. It is their belief that the distribution in Asia, Oceania, and North American indicates a spread in “extreme antiquity” (long before the Vedas). This idea is not supported by any direct evidence but is more acceptable to many anthropologists than is the view that the ideas spread widely in more recent times. DHK will try to show that some fairly sophisticated astronomical ideas are involved in these conceptions, which are unlikely to be earlier than the 3rd millennium B.C. They also contain arbitrary components that are unlikely to have arisen independently in different areas. (14) orientation to the cardinal directions. There are two depictions of the “Churning of the Sea of Milk” at Angkor Wat, but we will emphasize the main one. The pole of the churn, here Mt. 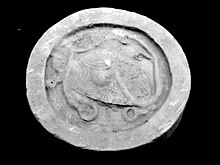 Mandara, at the center of the composition rests on tethe back of Kurma, the center of the composition, rests on the back of Kurma, the king of the “tortoises”, wearing a crown. He is surrounded by parts of crocodiles and fish destroyed in the churning (Mannika 1996 fig. 2.21, p. 49). In front of the mountain, we see Vishnu in a central role. To the left are 91 asuras (sometimes called “demons”) pulling the body of the five-headed snake, Vsuki, toward the south. To the right are 88 devas (sometimes called “gods”) pulling hte body of the five-headed snake, Vasuki, toward the south. To the right are 88 devas (sometimes called “gods”) pulling to the north. A single deva is leaping above the central pivot. The king of the devas is a monkey-headed figure, identified as Sugriva, holding on to the tail of Vasuki. At the other end, Bali appears as as king of the asuras, holding the crowned heads of Vasuki. Lighting effects emphasize Vishnu, Kurma, and the Churn at equinox sunrises. Sugriva is marked out at the summer solstice and Bali at the winter solstice, but in a somewhat different manner from Vishnu. The contrast between 88 debas and 91 asuras clearly suggests the inqequlaity of the seasons. However, a check of the inequality of the seasons at -1000 A.D. indicates that the intervals would be more appropriate if the devas and asuras were reversed (see Table 2.3, 2.3.1). A parallel phenomenon is the alighment as viewed from the extreme west edge of the site, from the ewest end of the bridge across the moat surrounding the site to the south end gateway of the western entrances where the Sun rises at the winter soltistice. Because the site is aligned east-west and is symetrical, the Sun would rise behind the north end gateway at the summer solstice. From the juncture of the causeway and the bridge, the Sun rises directly above the central tower at the equinoxes. Mannikka emphasizes repeatedly the importance of the 28 lunar mansions. Together with the four directional gods, the gods of these mansions make up the major set of 32 deities (when Brahma is added, this gives 33. See 9.1.1. 9.1.3, 9.3.2 for the significance of this number). Manikka (1996 p. 33) points out points out that Kurma was one of the incarnations (avatars) of Vishnu and is described as “half a globe,” She also emphasizes (pp. 36-37) that Varahamihira refers to the Earth as a “ball” in the “starry sphere” and identifies the asuras with the South Pole and the devas with Mt. Sumeru or Meru as the North Pole. She says that Khmers tended to identify Meru with Mt Mandara (mannikka 1996, Ch 2, fn 8, p. 305), but she maintains that “Meru is the north-south axis of the world and Mandara is not”. 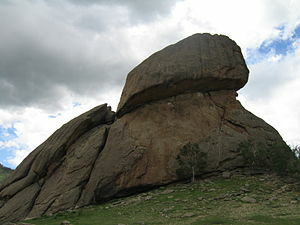 Mandara is said to be the mountain that was “uprooted and brought to the shores of the Sea of Milk to serve as the churning pivot.” In the context that Mannikka has shown, it would seem that the uprooting of Mt Mandara should have an astronomical significance. It would also seem that the identification of Mandara and Meru might be related to the Khmer contention that Suryavarman II was inaugrating a new World Age–a return tto the conditions before the uprooting of Mandara at the beginning of the Kali-Yuga era. Whatever this scene may have had for other cultures, its representation seems to be extraordinarily widespread. In Figure 15.6a. we have Schuster’s version of the churning frp, the SW pavilion at Angkor Wat. he shows a gigantic pole as a lotus surmounted by a deity figure (Brahma) and with a dancing four-armed detiy figure (Vishnu) on the pole, Sun and Moon appear on either side. A five-headed serpent is being used to turn the churn, tugged in opposite directions by gods and demons. In a Totonac verson (Figire 15.6b), the pole (in this case, a flower stem) is shown in plan rather in front of the structure. The snakes are intertwined around the pole. On some Mayan pots, the snakes are replaced by water lilies, a Mesoamerican approximation to the lotus. This Totonac depiction was regarded as a war standard (Ringle, Gallareta, Negron, and Bey 1998), which seems to DHK unlikely. This is the site with the Pyramid of the  Niches, certainly suggesting the importance of solar phenomena there. Schuster and Carpenter (1998, Vol. III, pp 74-75), compared the Sea of Milk” at Angkor Wat with the highland Mexican representations of Mayauel, goddess of the milky drink, pulque, seated on a turtle. A very elaborate Balinese version shows Tintiya, their highest god, in dance position above a turtle. The turtle is bound by two snakes that are looped together in an elaborate and intricate manner (see Figure 15.7a). 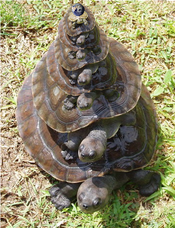 The binding snakes prevent the turtle, as fulcrum of the world pillar, from causing earthquakes (Schuster and Carpenter 1988, vol. III. p. 225). The pillar is curiously missing. The turtle from India in Figure 15.7b shows an emphasis on eight directions in four sets, as can be argued also for the Balinese and Batak representations of Figure 15.7. The Batak turtle (Firgure 15.7c) shows an elaborate cosmogram apparently marking the cardinal and the intercardinal points as two squares, one superimposed on the other. Two snakes encircle the entire scene, and a ladder appears between their tails. According to Schuster and Carpenter (1988, Vol III, p. 78), “this ladder symbolizes often simultaneously, a sacrificial pole, Tree of Trees, and Ladder of Ascension.” They point out (p. 66) that the Samsani tribe on the “Siamese-Malayan” border places a turtle diagram uder a house post when it is being built, thus, replicating the Cosmic Pole on the Cosmic Turtle. In a Mayan picture (Figure 15.8a) from the Madrid Codex, gods hold the body of a snake that passes over an elevated structure on whcih the turtle appears to be precariously perched. Hieroglyphs of the Sun and Moon appear on the body of the snake. A Mayan pointing at Bonampak shows a turtle with three “star” hieroglyphs of the Sun and Moon appear on the body of the snake. 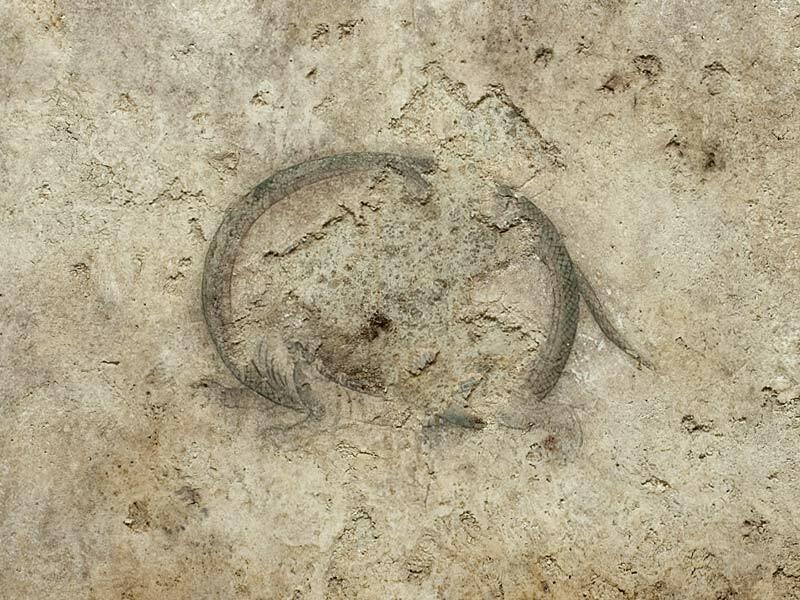 A Mayan painting at Bonampak shows a turtle with three “star” hieroglyphs on its back (Figure 15.8b). Given colonial Mayan identifications of the turtle with Orion’s Belt, it seems highly likely that this was intended here. The Chinese tradition of myths has an account of the creator goddess Nüwa cut the legs off the giant sea turtle Ao and used them to prop up the sky after Gong Gong damaged the Buzhou Mountain that had previously supported the heavens. On the North-facing wall inside the Takamatsu Zuka Kofun in Asuka Village there is a tomb mural painting of “Genbu” (The Black Tortoise ). In particular, the turtle features importantly in the cosmic scheme of things. 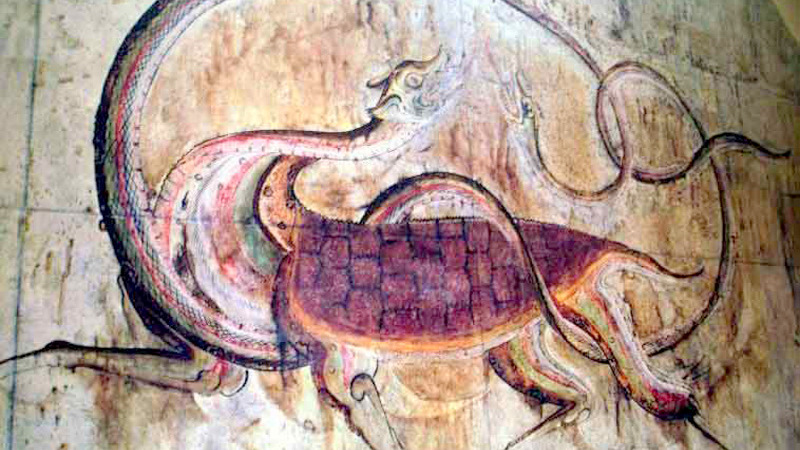 In the heavenly world, the Black Tortoise (or more accurately the Dark Warrior of the North) is one of the four celestial animals (Dragon, Phoenix, Tiger and Tortoise) of Chinese constellations, symbols of ancient starry as well as earthly orientations which have survived today as modern Feng Shui practices of the Chinese. It is the guardian of the north quadrant of the heaven known as Genbu in Japan, Xuanwu in Chinese, Hyeonmu in Korean(see below) and Huyền Vũ in Vietnamese. As the Black Warrior, the tortoise was an important emblem for martial arts and warriors. Revered as a powerful and high-ranking Taoist deity who was able to control the elements and capable of great magic, Xuanwu-Genbu was also the patron saint of Hebei, Manchuria, and Mongolia. The Cantonese and Minnan/Hokkien-Fujian peoples who fled south from Hebei during the Song Dynasty, brought their Xuan Wu veneration to Fujian and Guangdong Provinces. The North gates of palaces in ancient palaces were commonly named Xuanwu or Genbu gates after the mythological creature. Its element is water and it is considered as significant as the dragon. It is the greatest sign of longevity, stability, steadiness, good fortune, support and protection. Originating from China, the tortoise or the Dark Warrior, standing as a symbol of power, tenacity, and longevity, as well as that of north and winter. The Chinese Imperial Army carried flags with images of dragons(or Cosmic Serpent) and tortoises as symbols of unparalleled power and inaccessibility, as these animals fought with each other but both remained alive. According to Chinese tradition, the dragon cannot break the tortoise and the latter cannot reach the dragon/Heavenly Serpent (one cannot help but wonder … could this have been a reference to the Chinese encounters with and observations of the martial strategies of the Roman army which was said to have used the fishscale-or-turtle carapace formation of defense… or perhaps an early allusion to Greek/Roman forces never reaching China (represented by the Dragon)? (The tortoise was also a fertility symbol of the Greeks and Romans). 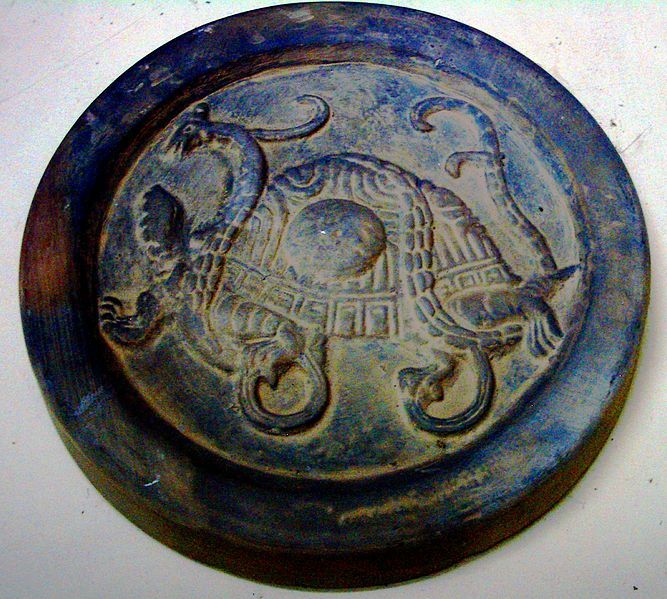 The Xuanwu Black Tortoise as a symbolic icon is often placed in the north such as the Han dynasty tile eave protective decoration above. The Xuanwu Black Tortoise – the astronomical sign for the northern quarter of the sky is also found in the Beijing ancient astronomical observatory, which was built in 1442, but its technology goes further back to the Jin dynasty 1227 when its ancient instruments were transferred from Kaifeng to Beijing. The Black Turtle and Serpent motif is also likely the conflation of two ideas or spheres of influence – showing again the Chinese Taoist love of duality of ideas: the World Turtle (Indic) creation of the earth and Ouranos Cosmic (Heavenly) Serpent (also chthonic in nature), except that the Chinese appear to have moved the Serpent from the deep abyss in the Oceans into the Skies. In any event, the turtle and serpent have been both coopted into the Chinese heavenly design, and become a part of the ancient Chinese constellation Cassiopeia…see Stephen Maeda’s “Snake, Turtle and Sword: Ancient Chinese Constellations Identified” for a serious and detailed treatment of the area. Manjushri[Manjusri], a Bodhisattva of wisdom is credited as calling forth from his mind the Giant Golden Turtle from the depths of the ocean, and then impaling the turtle with his golden arrow, he turns the turtle over and inscribes an astrological system and revealing to mankind his prognostications for the future for all time on the underside of the turtle. The turtle clearly has a pivotal role in sacred geometry. In the Encyclopedia of Tibetan symbols and Motifs, it is suggested that the astrological calculation divination system of the Tibetans and Chinese, using the magic square of fifteen attributed to Padmasambhava, may have been transmitted via the Hebrew or semitic Arabic and Western magical traditions. 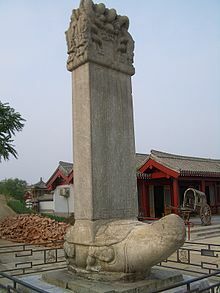 In astronomy, Xuanwu-Genbu is also used to represent seven mansions that show the positions of the moon. The seven mansions are Dipper, Ox, Girl, Emptiness, Rooftop, Encampment, and Wall. The Hindu-based Tibetan calendric use of solar and lunar symbols may also have been influenced by the alchemical traditions of the Chaldeans and ancient Egyptians. The astrological wheels is said to have been devised by Tibetan Nyingma scholar Khyung Nag Shakdar, and the left protection wheel is inscribed on the underside of a tortoise that holds the four jewels of earth in its hands. Karakorum in Mongolia was settled from early times (705) and is associated with the headquarters of Genghis Khan. 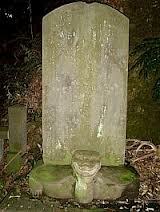 It was an early centre of sculpture and is known for its many stone sculptures particularly of tortoises. ‘Kara’ means black and ‘korum’ is a corruption of Kunlun, the sacred mountain peak where immortals were thought to reside (source: Karakorum (Britannica). 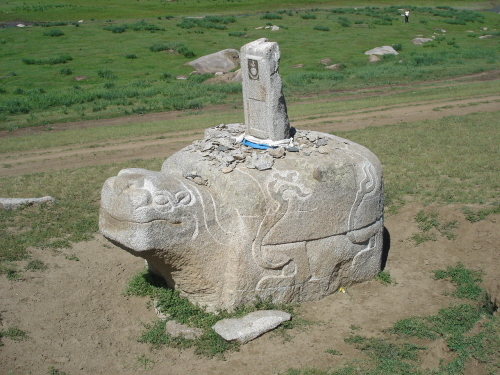 Given the great deal of shared symbolism in respect of the turtle as a symbolic of longevity for the countries, (see Turtles – Asia’s symbols for Longevity); the above-mentioned World Cosmological ideology; the turtle or tortoise as an Afterlife and Underworld guardian figure became a popular iconic choice for tomb stele markers or burial monuments in Central Asia (Mongolia and China), as well as Vietnam, Korea and Japan. Turtles from the Yangtse River were thought to have divine powers, and those over a foot long were believed to be a thousand years old. Legend holds that the wooden columns of the Temple of Heaven in Beijing were built on the shells of live tortoises since people thought that these animals were capable of living for more than 3000 years without food or water and are adorned with a magical power that prevents wood from rotting. Turtles are said to be also life-giving symbols associated with archaic female goddess worship of the Queen of Heaven in China, alongside of the toad (Source: Sages and Filial Sons: Mythology and Archaeology in Ancient China pps. 82-83) . During Han Dynasty China, jade pendants shaped like tortoises were popular. And because of ancient Chinese influences upon Japan, honorific titles and badges in Japan often referred to the tortoise or images of tortoises. 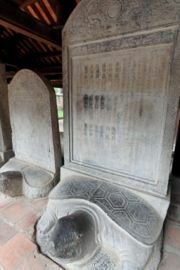 Beyond longevity and immortality, ideas of reincarnation and Buddha’s past life as a turtle, and those of Genbu as Black Warrior as a symbol of power and valour as well as its role as one of the four gateway guardian-cardinal directions, apparently made the turtle the obvious choice as a tomb mural subject or tomb marker (see below). The earliest types of beliefs revolved around open-air worship of natural spirits which included the veneration of primordial turtle rock, which led to totem worship and magical charms and miniature versions of the turtle rock, or portable amulets. Over time, spiritual beliefs evolved more abstract cosmological concepts and a once widespread worldview incorporating the complex interaction of a myriad of motifs often with multiple roles and functions — the above two megaliths of stela-bearing turtles are clearly visual representations of that ancient worldview of the World Turtle carrying the mountain=Cosmic Pillar. The continental practice of using tortoise/turtle steles as tomb markers was adopted in Japan as well among the warrior Yoritomo clans of Kamakura Japan, see the tomb of Tomb of Oe Hiromoto (who was Yoritomo Minamoto’s counselor) below. This stele along with another nearby tomb with a similar tortoise-stele marking the tomb of his illegitimate son of Yoritomo Minamoto, Shimazu Tadahisa, are usually different from the continental versions, in that the tortoise is given a snake’s head, no doubt an overt visual reference to the Genbu Black Warrior emblem (Source reference: Shishin | Shijin (Onmark Productions). Barker, Joseph (1854). Great Discussion on the Origin, Authority, and Tendency of the Bible, between Rev. J. F. Berg, D.D., of Philadelphia, and Joseph Barker, of Ohio. Boston: J. B. Yerrinton & Son, Printers. pp. 48. Andis Kaulins’ “Stars, Stones and Scholars: The Decipherment of the Megaliths“p. 355). Strassberg, Richard E., Inscribed Landscapes: Travel Writing from Imperial China. Berkeley: Univ. of Calif. Press, c1994 1994. A newfound giant turtle that lived 60 million years ago in what is now northwestern South America would have been more than a mouthful for a neighboring predator, the world’s largest snake Titanoboa. The turtle’s huge carapace, or shell, was nearly circular, like a tire, the researchers said. Named Puentemys mushaisaensis after the pit where it was found, the turtle, whose shell would have extended 5 feet (1.5 m) across, adds to growing evidence that tropical reptiles ballooned after the dinosaurs were wiped out. Even with its mouth wide open, Titanoboa wouldn’t have been able to down this turtle, not whole at least. And its round, low-domed shape would have increased the surface area exposed to the sun to keep the cold-blooded turtle warm, said study researcher Carlos Jaramillo of the Smithsonian Tropical Research Institute in Panama. “The shell was far more rounded than a typical turtle,” Jaramillo told LiveScience. Various factors, including plentiful food, fewer predators, large habitat and climate change, would have worked together to allow turtles and other animals to reach such relatively gargantuan sizes, scientists have suggested. 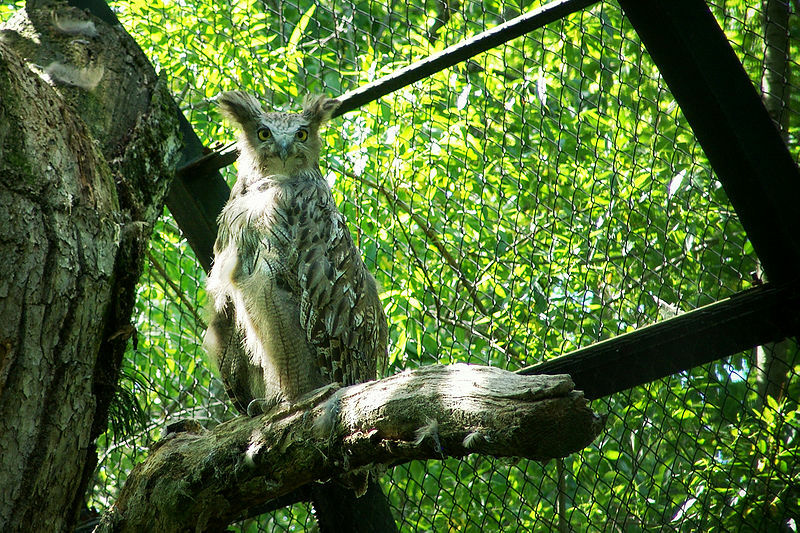 For instance, the warm weather where would’ve been beneficial for P. mushaisaensis and other ectotherms that rely on their surroundings to regulate their body temperature.